Looking for the perfect gift for a loved one or even just for yourself? Show her how much she’s treasured with a vibrant new view from Maui Jim. Reflect her spirit and joy with sunglasses that show her the world in a way that’s as beautiful as she is. Or, surprise him with Maui Jim sunglasses suited for any lifestyle. Whether playing golf, running a marathon, or simply running errands, PolarizedPlus2® technology will protect his view while seeing the world with truer colors and crisper details. Remember that we are open on Saturdays from 09h00 – 12h00 so if you do not have time during the week, just visit us on Saturdays. 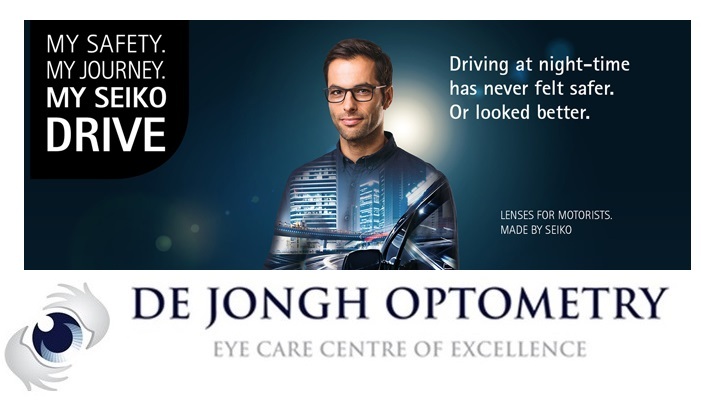 With only three weeks left before we close for the Festive Season, this is also your chance to schedule your comprehensive eye exam if you did not yet have your eyes tested this year. Book your appointment now and make use of your medical aid benefits before the new year. Phone us on 012 998 7592/3 or book right here on our website. All cats are grey in the night – and unfortunately almost everything else, too. The fact that darkness makes most things indistinguishable to our eyes causes stress and a feeling of insecurity for many motorists who drive during night-time. In addition to our visual acuity going down with decreasing brightness our pupils widen in the dark, which makes them much more prone to irritation through light reflection and glare. Technical progress means new challenges for our eyes. The improved visibility of modern xenon and LED headlights comes with an increased light density and luminescence. To a lot of people these headlights therefore feel brighter and more blinding. With Seiko Drive lenses with RCC (special coating for glare-free vision) driving is much more comfortable and significantly reduce irritating glare and reflections from oncoming traffic, wet surfaces and other sources. Ask for Seiko Drive lenses when updating your prescription spectacles to give you a clear view and get you to your destination as safely and relaxed as possible. We would like to thank each and every one of our patients for your continued support and wish you all a Merry Christmas and a Happy New Year. The practice will close on Friday the 21st of December 2018 @ 12h00 and will re-open on Monday the 7th of January 2019 @ 13h00.